The Mississippi Delta region has some of the highest rates of chronic disease, infant mortality, and poverty in the United States. Yet what these statistics don’t reveal is the vibrant community-based efforts underway to transform the region’s health and economic success. Join us for an engaging discussion with John J. Green, the Director of the University of Mississippi Center for Population Studies. Dr. Green’s research and teaching focus on social change and community development, health, and food systems. He will present on the innovative programmatic and policy efforts underway to improve maternal and child health and create a robust, health-promoting local food system in the Mississippi Delta. 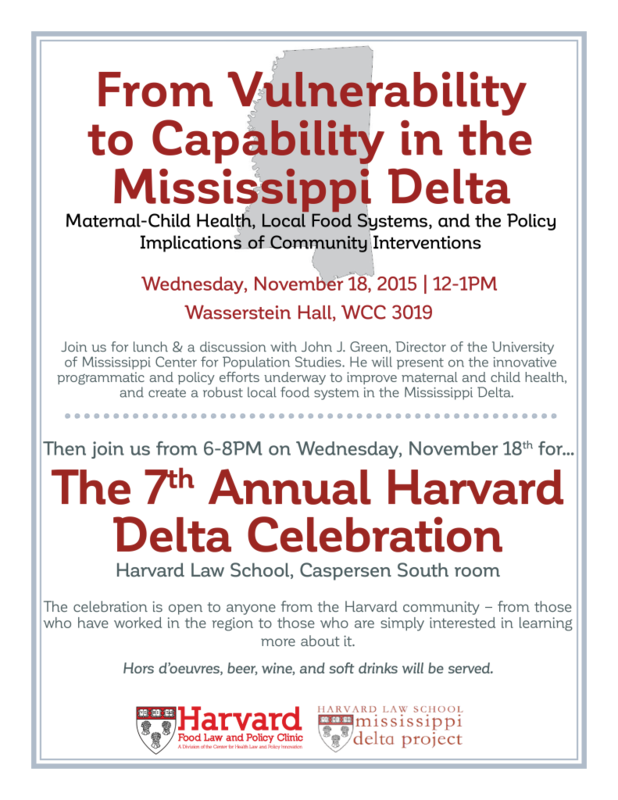 This event is in conjunction with the Seventh Annual Harvard Delta Celebration. 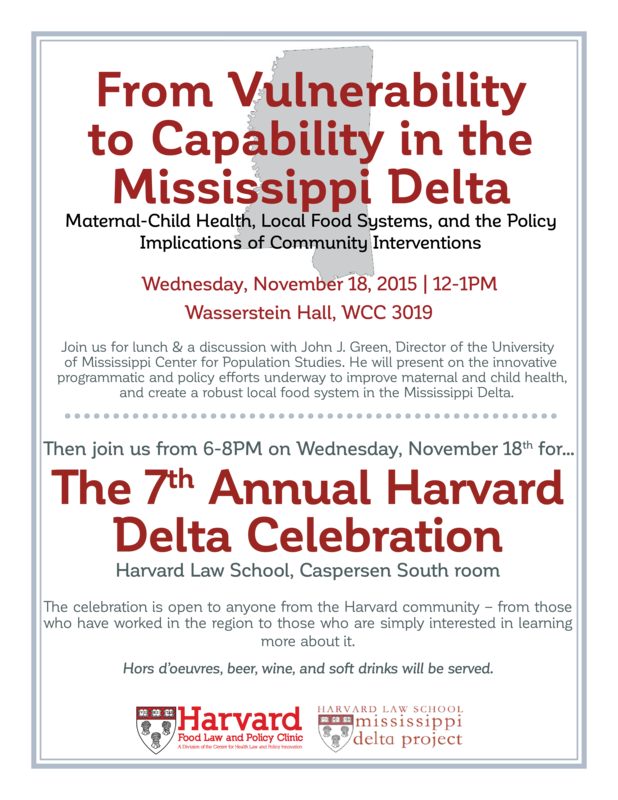 Join The Harvard Food Law and Policy Clinic for this annual celebration of the work students and faculty from schools around Harvard University are doing to improve economic, health, and social conditions in the Mississippi Delta! The event is open to anyone from the Harvard community – from those who have worked in the region to those who are simply interested in learning more about it. There will be ample time for mingling and networking. Hors d’oeuvres, beer, wine, and soft drinks will be served.